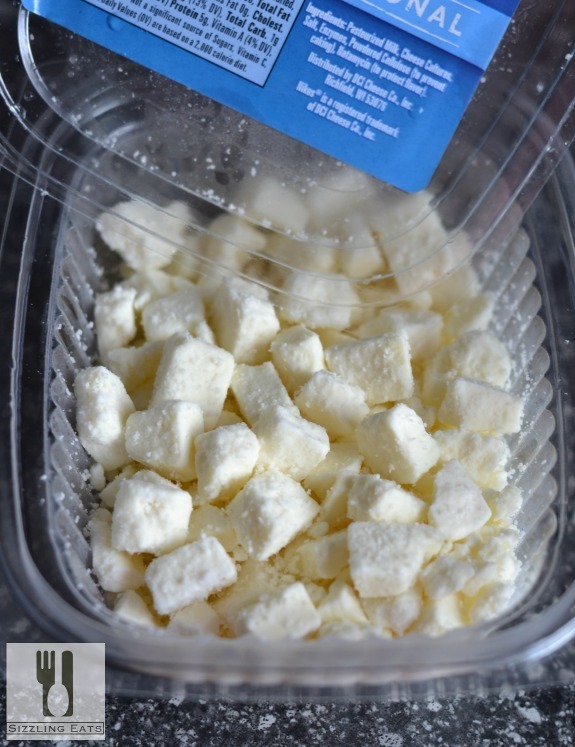 During the summer months, feta cheese is one of my favorite foods because it can dress up any salad or dish is seconds. It has such a unique taste, and texture that I have always bee a fan of since a child. 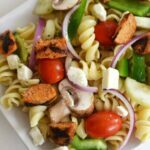 I particularly love it in pasta salads so this Greek Pasta Salad with Feta & Sausage was a real treat! We recently had the opportunity to work with Nikos® Feta Cheese and it has been a blast! 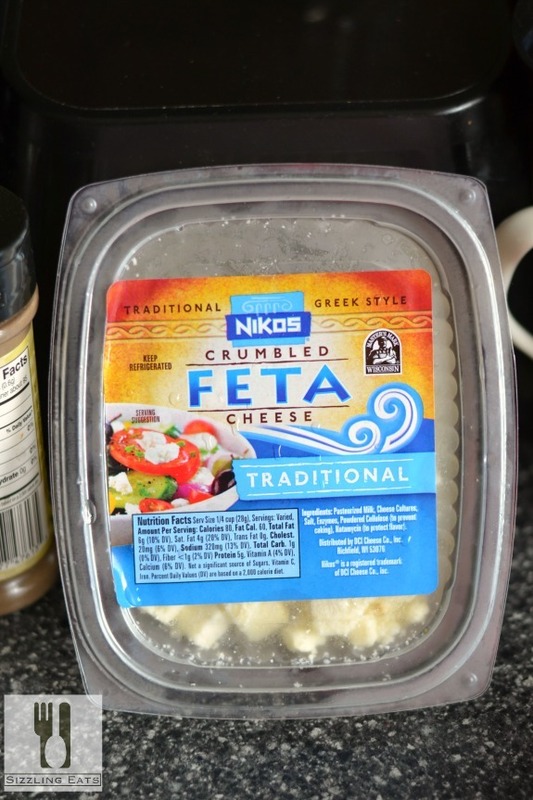 We typically buy this brand of feta cheese from our local Shaw’s supermarket so we are very familiar with its creamy taste, and crumbly texture. It is has the perfect zip to it and it not overly salty like some brands are. During the summer I tend to make a ton of quick and easy pasta salads and even green salads with Nikos® Feta Cheese because they are very easy to prepare and my kids love them. We had the opportunity this past week to grill some delicious chicken sausage which paired well with the Traditional Nikos® Feta Cheese. 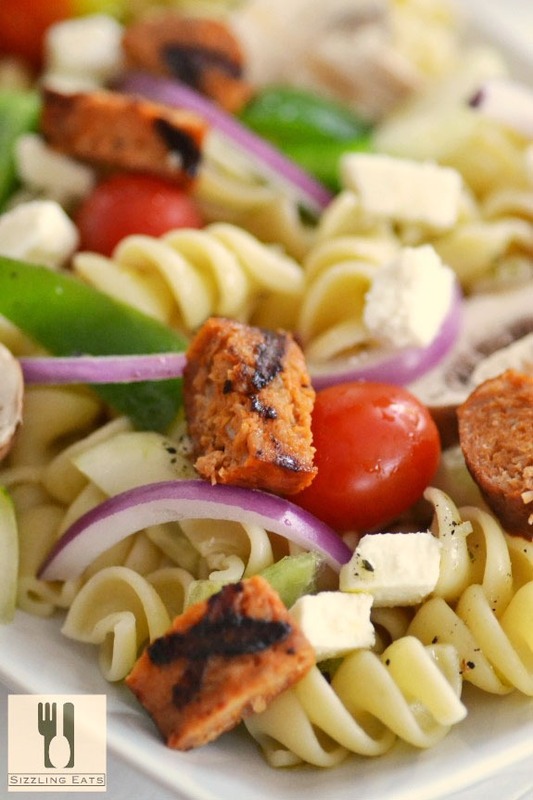 I love quick summer meals that my family can all agree on so this Greek Pasta Salad with Feta & Sausage was ideal! It took me about 15 minutes to make from start to finish and was such a big hit with my kids! They loved the sausage, fresh veggies, light dressing, and of course the cheese. My two year old even picked out the Nikos® Feta Cheese crumbles first followed by the sausage! Whisk all ingredients, and pour over dish as needed. You can find more inspiration for some summer meals by visiting the official Nikos® Feta Cheese site, or by connecting with them on social media sites Facebook, Pinterest, and instagram. This recipe was such a hit and serves as a great side or main dish! 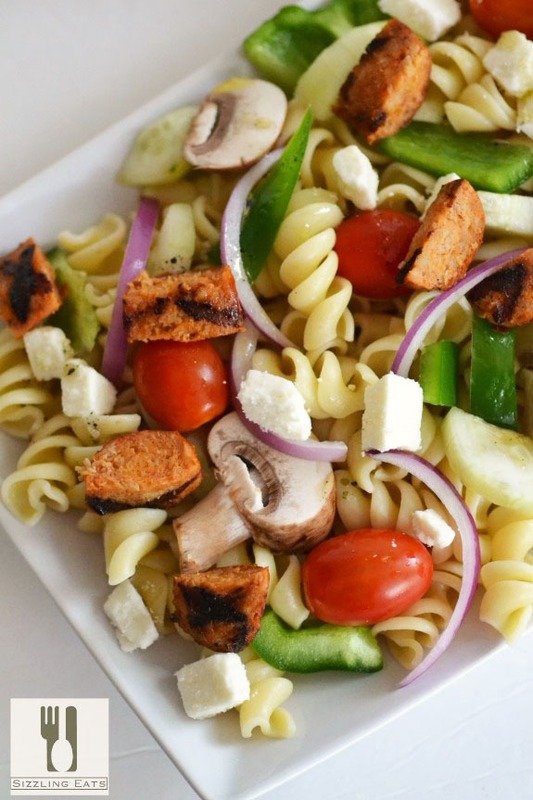 I love fresh flavors like this – a perfect pasta salad for summer!